Elite are delighted to offer to the market this immaculate Honda CR-V with Full Service History and only 63000 miles on the clock. Timing Belt and Water Pump renewed as well as air conditioning condenser. 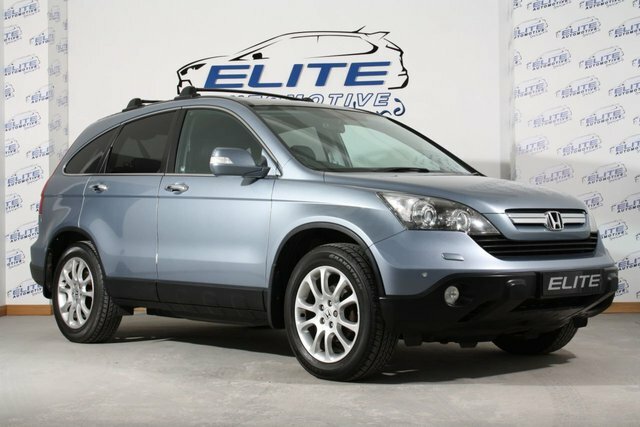 Massive spec: Sat Nav, Heated Leather Interior, Reverse Parking Camera, Panoramic Roof and much more. Outstanding condition throughout, call today to arrange a test drive!! ALL OUR CARS ARE HAND PICKED AND HPI CLEAR ENSURING COMPLETE CUSTOMER SATISFACTION - WE ONLY SELL CARS WE WOULD DRIVE OURSELVES!